Neil Patrick Harris is going to be a dad! Neil Patrick Harris has confirmed he and his partner, David Burtka, are going to be first-time parents. 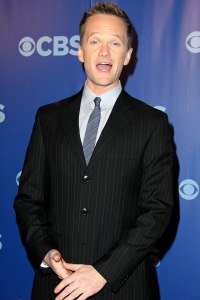 Neil Patrick Harris, the 37-year-old star of How I Met Your Mother, confirmed via Twitter, he and David Burtka are expecting more than just their first child. Neil Patrick Harris let it slip that the happy couple is surprisingly awaiting the arrival of twins. After rumormongers began speculating about Neil Patrick Harris’ love life, he confirmed he was an openly gay man. David Burtka was on the star’s arm for the 2007 Emmy Awards. The duo has reportedly been in a committed relationship for six years. So how will the parents-to-be welcome their new bundles into the world? E! News is reporting their children will make their grand entrance via a surrogate some time in October. Until then, Neil Patrick Harris will have plenty of activities to occupy his time and keep his nerves in check. Harris is up for 3 Emmy Awards — one for his work on Glee, one for How I Met Your Mother and a third for his participation in the 63rd Annual Tony Awards telecast. The busiest triple threat in Hollywood also recently directed a production of Rent at the Hollywood Bowl. Congrats go out to this deserving couple as Neil Patrick Harris has been dodging daddy rumors for the last year or so. The whispers can now turn into celebrations!